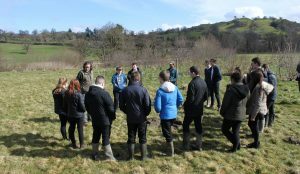 We had a great day today down at the Cae Bodfach Community Orchard working with Year 10 Land Based Studies students from Llanfyllin High School. 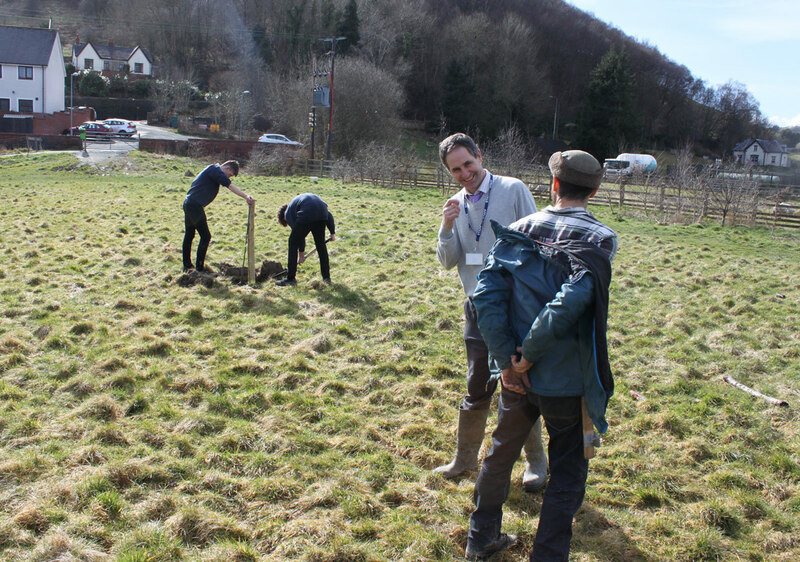 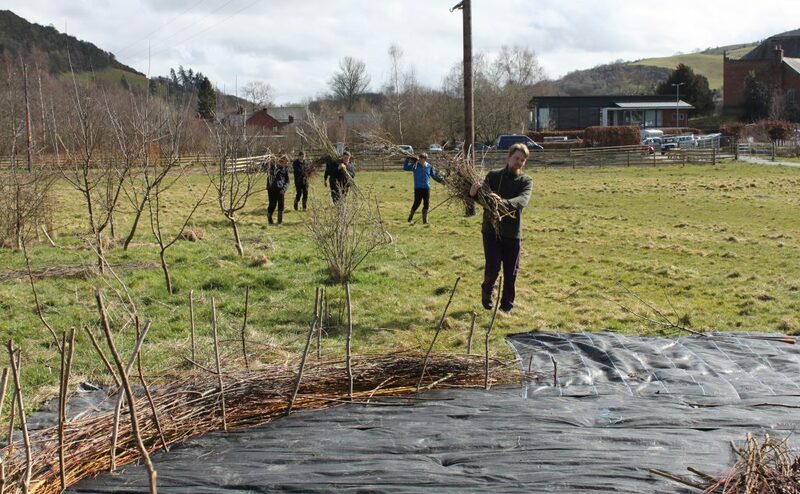 We were also joined by Dewi Morris of the Severn Rivers Trust and Tom the Apple Man for a day of planting trees, orchard tending, willow harvesting and hedge building. 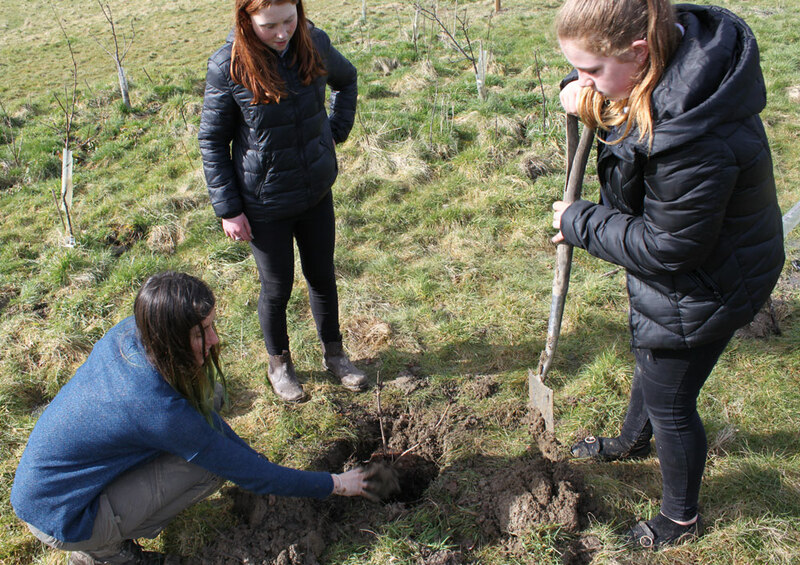 We planted several varieties of apple tree to expand the orchard, and added a couple of black elder trees and a juniper bush. 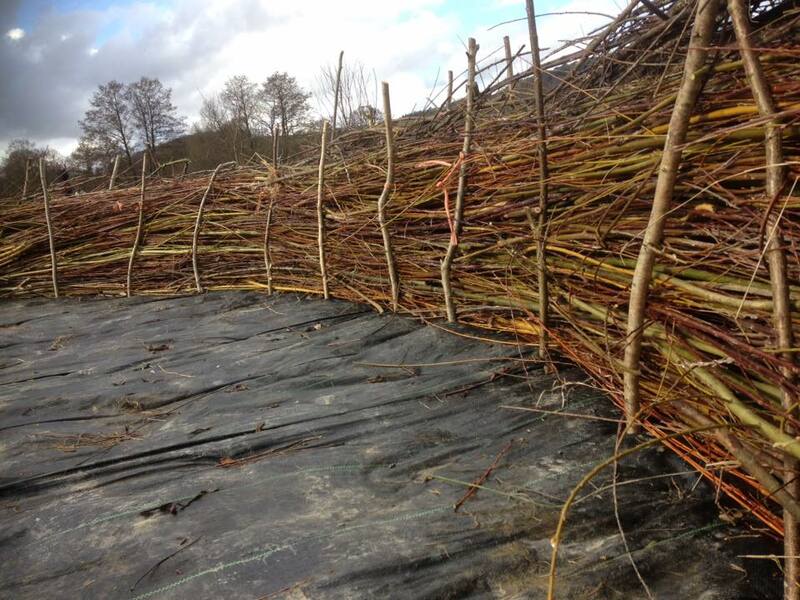 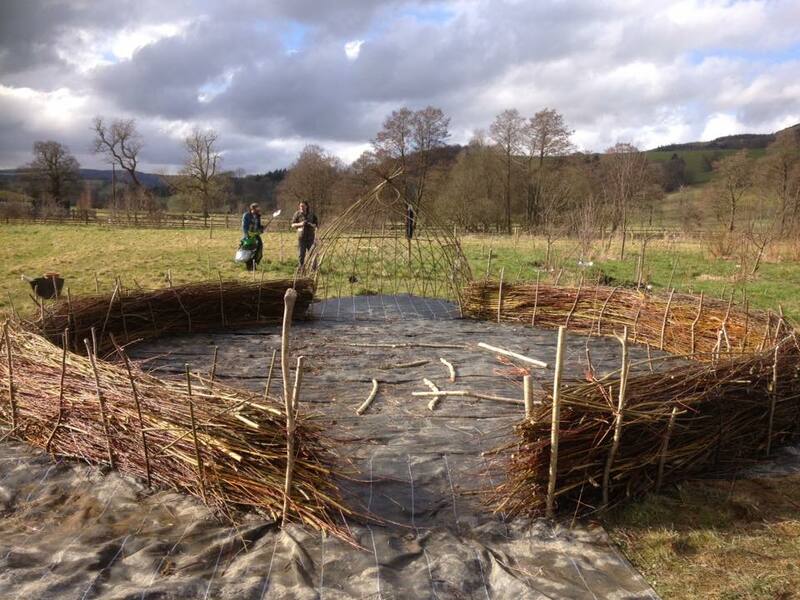 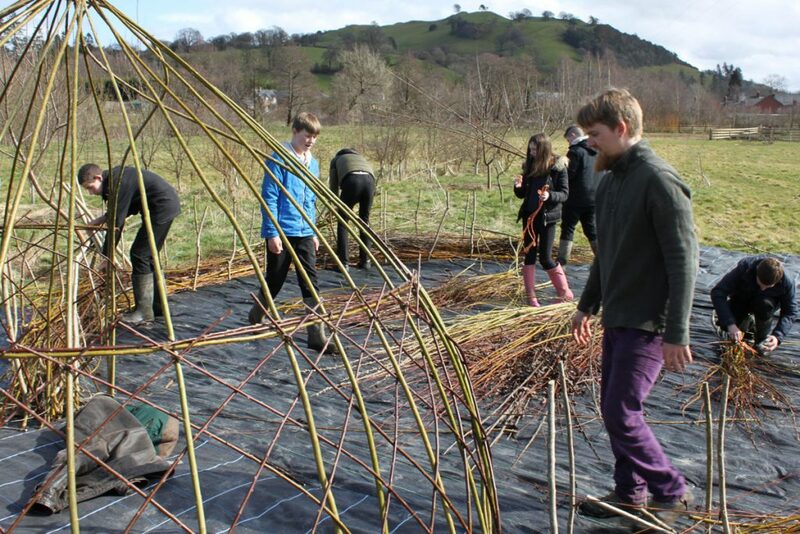 Students harvested lots of willow from the site to use in the construction of a dead hedge around the medicinal herb garden. 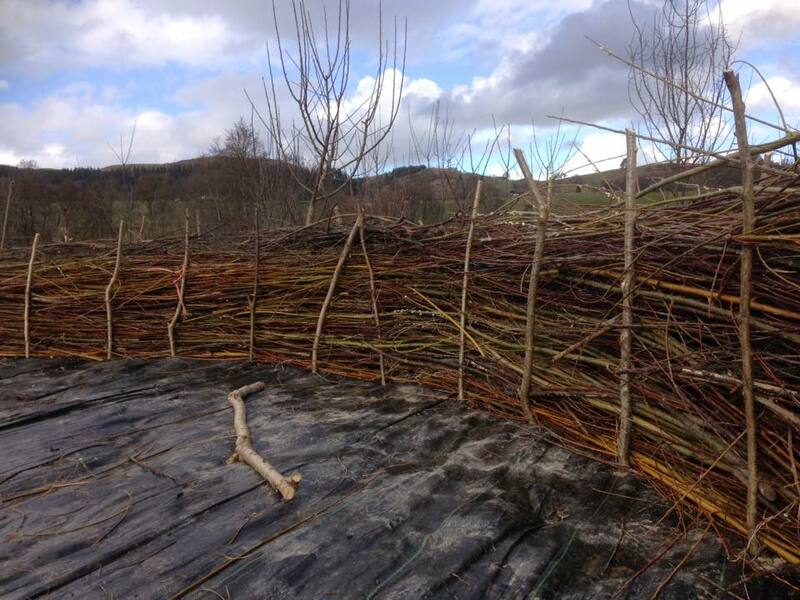 The hedge will create a wonderful habitat for all manner of creatures, enhancing biodiversity while also providing much needed shelter for the medicinal herbs that will soon be growing inside it. 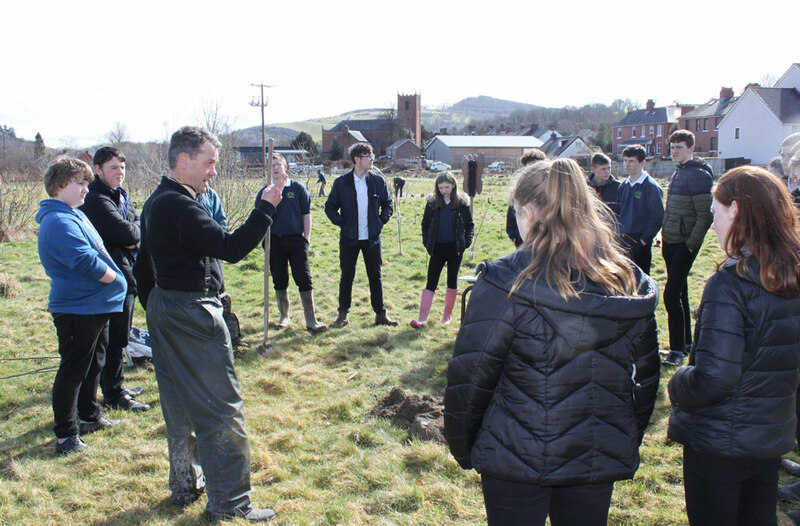 We will be returning to Cae Bodfach in the coming weeks, and will post details about opportunities to get involved! 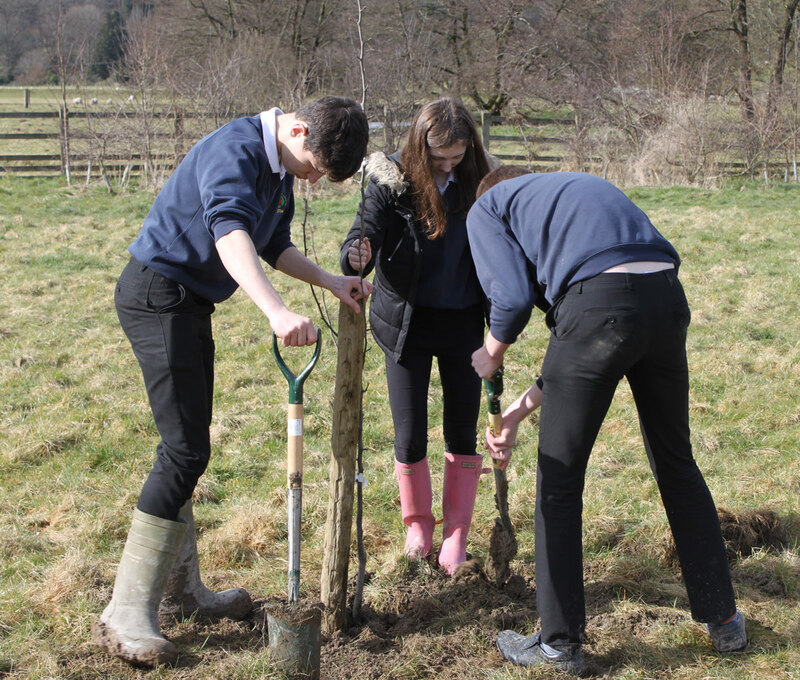 We will be starting to plant the herbs for the herb garden next week.